Giving in to hackers' demands silently and not alerting cybersecurity authorities will only make you a preferred future target. As cyber attacks grow exponentially, meeting hackers' demands is not a guarantee that you won't be hit again, global cybersecurity firm McAfee has stressed, adding that giving in to hackers' demands silently and not alerting cybersecurity authorities will only make you a preferred future target. Today, on an average, enterprises face 244 new cyber threats every minute globally. "We saw new ransomware samples increase 80 percent since the beginning of 2016. The attacks have been a wake-up call which has also forced executives to deliberate the question of whether they should pay ransom or not," Anand Ramamoorthy, Managing Director, South Asia, McAfee, told IANS in an interview. "Meeting hackers' demands will not necessarily guarantee compliance from the hackers. In many cases, the likelihood of receiving decryption keys is almost nil. What is certain, however, is that victims who pay will be recognised as willing to pay, making them a preferred target in the future," Ramamoorthy emphasised. Ten years ago, McAfee Labs used to see 25 threats a day. Today, said Ramamoorthy, it sees about 500,000 daily. Globally, McAfee cybersecurity solutions protect more than a quarter of a billion endpoints across every category of device, serve nearly two-third of the world's 2,000 largest companies and defend more than 200 million consumers each day. With its largest research and development facility in Bengaluru that employs over 1,000 engineers, the US-based McAfee's revenues are growing in double digits in India. Over the next couple of years, the country is expected to become one of McAfee's top markets. "India is one of the fastest-growing markets for McAfee in the APAC region. McAfee in India has partnered with approximately 49 percent of ET 500 firms and aim to cover 60 percent -- with an overall target to increase the customer base by 20 percent," Ramamoorthy told IANS. Additionally, apart from having collaborated with leading original equipment manufacturers (OEMs) like LG and Samsung, McAfee is now also associated with leading consumer electronics company Micromax. McAfee has solutions that provide a real-time way to unite data and actions across multiple applications from different vendors, as well as to internally developed applications to deal with threats that are becoming more complex, targeted and customised. "In 2016, 'Locky' ransomware infected millions of users worldwide, primarily through malicious attachments in spam emails. 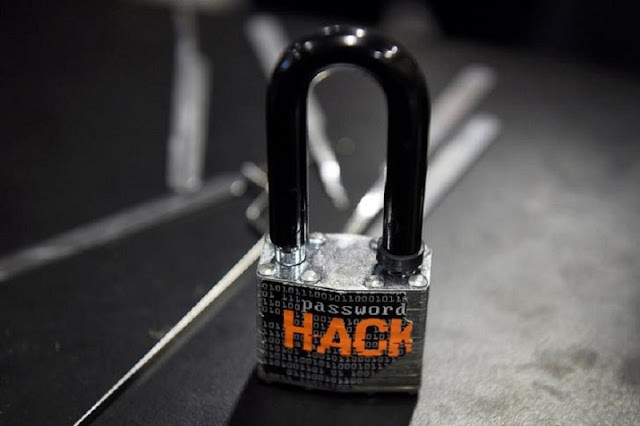 To become agiler, the malware changed what extension is appended to encrypted files and utilised the '.locky', '.zepto', and '.odin' extensions across unique instances," Ramamoorthy said. "Fast forward to 2017 and ransomware is back on the scene -- equipped with two variants that leverage either the '.Diablo6' or '.Lukitus' extension for encrypting files and are demanding a ransom of .49 Bitcoins (nearly $1,900 or Rs 1.2 lakh) for the decryption key to unlock the infected files," the executive added. Ransomware is bringing Bitcoin into popular culture and raising awareness about cryptocurrencies. As the ability of the public to acquire digital currencies other than Bitcoin becomes easier, said the executive, cybercriminals will look to these alternatives to Bitcoin not only for funding malicious activities but to also maintain anonymity. According to Ramamoorthy, security considerations need to be inherent by design and not a bolt on at a later stage. "The need of the hour is to make cybersecurity an unavoidable pattern in the IT infrastructure of our country," he said, adding that McAfee has been working with the government as a strategic knowledge partner in various capacities.